USLAW Network the US independent law firms network with whom TELFA is affiliated, has celebrated its Fall Conference last week in Montreal, Canada. Adarve belongs to Telfa (Trans-European Law Firms Alliance) since 2000. In this framework, TELFA/USLAW cross-border seminars was held. Several partners from TELFA firms participated as speakers in the different tracks that were organized,and discussed topics such as GDPR, future of finance and security in international transaction. 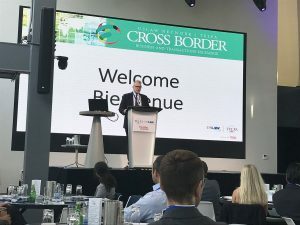 The conference gathered during several days dozens of lawyers and other legal professionals coming from all around the US, Canada, South America and Europe.